Huawei E5577Cs-321 is now being sold by Orange Jordan having the firmware version 21.322.01.00.314 and WebUI 17.100.15.50.314. 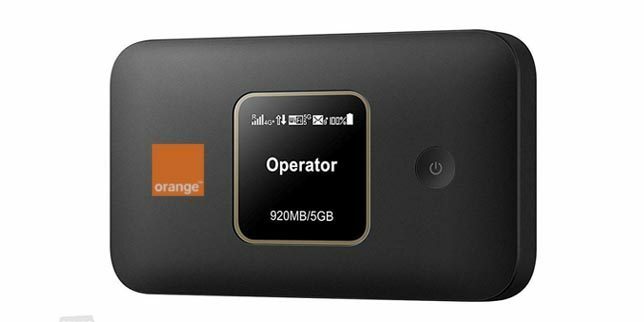 It is sold in locked form and only works with Orange SIM. We are pleased to inform that, the E5577Cs-321 router can now be easily unlocked without going through the hassle of unscrewing it. 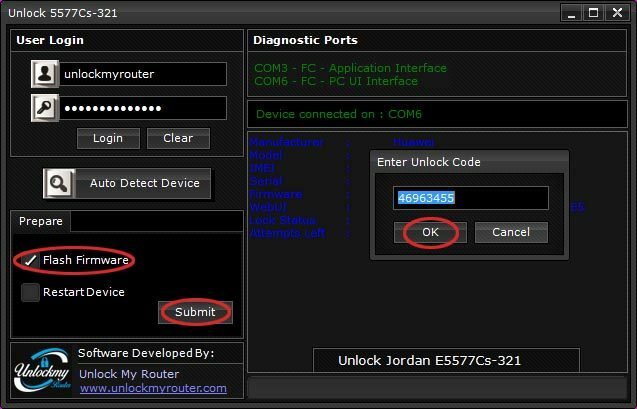 The process described below will unlock your router without opening the screws. Download Orange e5577Cs-321 Unlock App. Extract using WinRar or any other utility and open it. Click the login button (username and password is unlockmyrouter). Note: You might get the message connection failed or login failed. To fix that, Download this file, extract and run it. It will activate Com-Ports. Open the device manager and check if the ports are generated. If yes, Click AutoDetect again. If you can’t find two ports, means your computer has driver issues which can be fixed by following the steps provided at the link -> fix the driver issue. 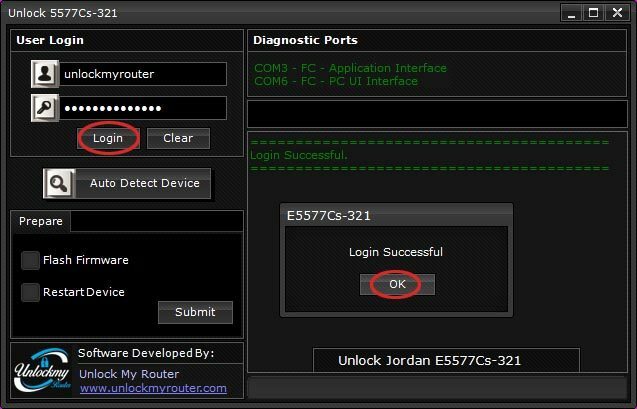 If the E5577Cs-321 router is successfully detected, your device details will be shown in the APP as shown in the picture above. Select Flash Firmware and click the submit button. You will be asked to enter the code. Enter the unlock code which you have received from us after the payment and click OK. 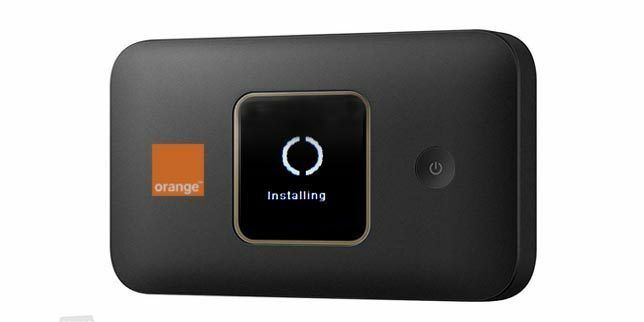 Your Orange E5577Cs-321 router will now restart to prepare for the firmware installation. The router display screen should show installing with a circular icon. Within a few seconds, the firmware installation process will also start automatically and the progress will be shown in the unlocking app. Don’t interrupt anything and wait for the installation process to finish. Wait for sometime and you will get “Flashing Completed Successfully” message. 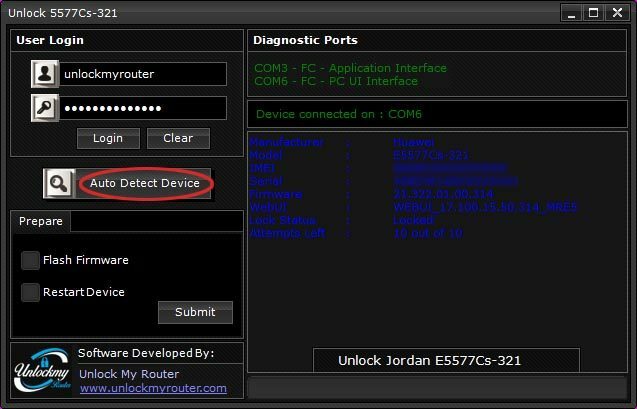 Wait for another one minute and click Auto Detect Device, your router details will get displayed. 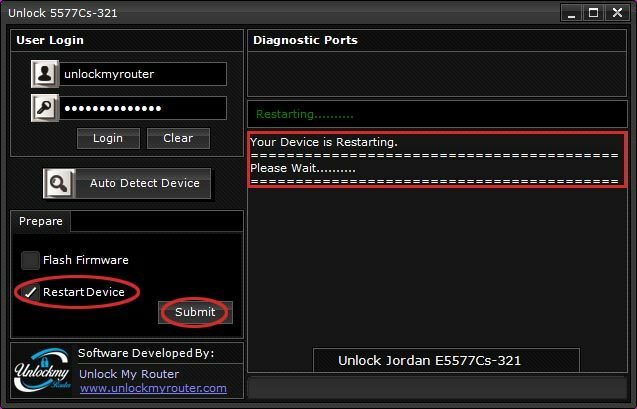 Select the Restart Device option and click Submit button to restart your Orange E5577Cs-321 router so that the new settings can be applied. 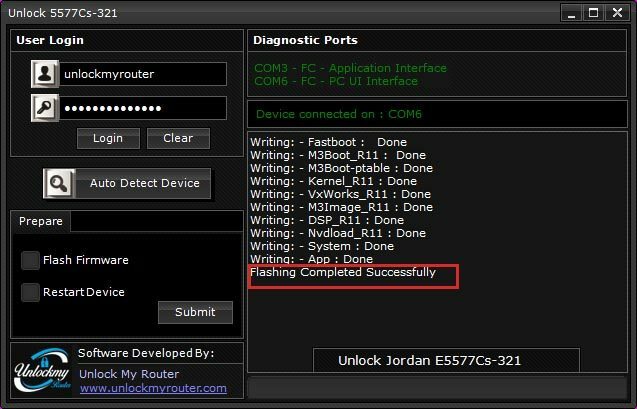 Your E5577Cs-321 Orange router is now permanently unlocked.